Mixed metal beaded bracelet. 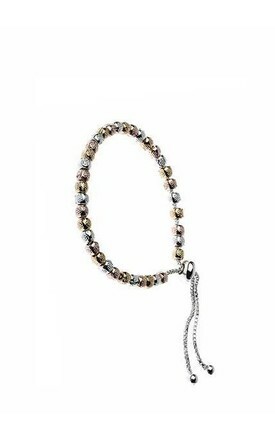 With an adjustable chain length it makes an ideal gift for you or a freind. All of our jewellery is 100% Nickel free and hypo-allergenic and comes beautifully gift wrapped.